S. Ravindra Bhat, And R.V. Easwar, JJ. S. Ravindra Bhat, J. – This common judgment disposes a bunch of appeals in which the court had framed several questions of law. The important questions pertain to the applicability of Section 10 (10CC) of the Income Tax Act; others are whether mandatory social security and medical insurance or benefits paid in the country of the assessee, are taxable. Apart from these, other questions too require consideration and answer. Question No. 1: Are amounts paid towards income tax by the employer on behalf of the assessee non-monetary perquisites, and do they consequently fall within the scope of Section 10 (10CC) of the Act. The present issue arises for consideration in ITA Nos. 1990/2010; 450/2012, 534/2010; 1556/2010; 1557/2010; 494/2010; 508/2010; 577/2010; 631/2010; 1912/2010; 528/2011; 212/2009; 15/2010; 408/2010; 528/2011; 351/2010; 635/2010; 1354/2010; 1561/2010; 1912/2010. 2. This question arises in the above appeals preferred by the Revenue. The assessee in all the cases were recipients or beneficiaries of what can be termed as “tax-free” or “tax paid income”, i.e. the tax arising out of the income earned by them from their non-resident but taxable employers, was borne by the latter. 3. The assessees contended that by virtue of Section 10(10CC), introduced and brought into force in the Statute with effect from 01.04.2002 by the Finance Act, 2003, they were not liable to pay tax on such amounts which constituted the income tax component paid by the employers. It was contended successfully on their behalf before the Income Tax Appellate Tribunal (ITAT) that such amounts fell outside the purview of taxation by virtue of Section 10CC and could not be regarded as “monetary payment” and, therefore, treated as perquisites under Section 17(2) of the Act. The Revenue questions the decision and the logic underlying the Tribunal’s determination on this aspect. 4. It is contended on behalf of the Revenue by Ms. Rashmi Chopra that the entire scheme of the Act and the interplay between various provisions have to be taken into consideration rather than an appreciation of Section 10(10CC) alone. Elaborating on this, it was urged that for this purpose, the Court would have to consider the provisions under Section 17(2); Section 40A(5); Section 192(1A), Section 195, Section 195(1A) and Section 198. On an overall consideration of these provisions, it was contended, leave no room for doubt that the taxes brought by the employers are in fact monetary payments, the benefit of which can be claimed by the employee for the purpose of computation of income and payment of tax – as a perquisite. 5. It was emphasized that the definition of perquisite under Section 17(2) is inclusive and extends to diverse manner of concessions or benefits which the employee indirectly enjoys. It was submitted that the Parliament was aware of Section 17(2)(iv), which included all manner of liabilities, such as donations “payable” by the assessee yet it chose to restrict the operation of Section 10(10CC) only to the extent of its overriding Section 200 of the Companies Act. In this context, it was further submitted that the element of income tax is in the nature of personal obligation; it was submitted that such personal obligation would necessarily have to be borne by the employee. By private arrangement in individual cases, it might be borne by the employer. Nevertheless, its character as a perquisite does not get extinguished by the mere introduction of Section 10(10CC). If the intention was otherwise, the Parliament would well have amended Section 17(2)(iv). Learned counsel emphasized that the matter could be looked at from yet another angle. Section 10(10CC) operated in an entirely different field in that it could be said to apply in those cases where the employer receives a benefit not through a monetary payment, but by way of reimbursement of the tax body. In other words, if the tax is actually included in the salary, paid to the employee, that would still amount to a monetary payment. Learned counsel highlighted that under the scheme of the Act, Section 17(2) was placed after Section 10(10CC). It has to be construed along with Sections 15 and 16. Section 15 highlights that whether a salary is paid or not, as long as it bear the character of salary due, it is deemed to be such. The only deductions permissible from this class of income are those provided under Section 16(2)(iii). Section 17(4) inclusively brings within the sweep of “salary” perquisites which is specifically defined under Section 17(2). 6. Learned counsel placed reliance upon the decision reported as Emil Webber v. CIT  200 ITR 483/67 Taxman 532 (SC) and that of Mysore High Court in Tokyo Shibaura Electric Co. Ltd. v. CIT  52 ITR 283 (Mys.). It was emphasized that wherever such income is paid by the employer on behalf of the employee, it is a mandatory payment in discharge of his obligation which would otherwise have been exclusively borne by him or her and consequently taxable as “salary” by virtue of Section 17(2). ’15. The royalty due to the assessee has to be paid at Tokyo. Further, in view of clause D the same should be paid without deduction for taxes or other charges assessed in India, which shall be assumed by REMCO. To put those words in the language of Somervell L.J. in Jaworski v. Institution of Polish Engineers in Great Britain Ltd. 1 KB 768, the remuneration is to be “x” plus “whatever sum is necessary to leave that available to me after you have borne the taxes.” As under the law, the tax is suffered by deduction, it means such a sum as will after deduction leave “x”. 10. It was argued that Section 192(1A) obliges every employer to deduct, at the time of payment of salary incomes on the amount payable. Section 192(1A) grants relief only to the extent of exclusion of perquisite which is not provided for by way of monetary relief from the burden of obligation under Section 192(1). This is further reinforced by Section 195A which clearly states that tax chargeable on any income is to be borne by the person by whom it is payable for the purpose of deduction of tax by the employer. 64.2 The Finance Act, 2002 provides for a new scheme of taxation of perquisites, wherein an employer has been given an option to pay tax on the whole or part-value of perquisite (not provided for by way of monetary payments), on behalf of an employee, without making any deduction from the income of the employee. 64.3 To bring into effect this new scheme, a new Clause (10CC) has been inserted in Section 10, to exempt the amount of tax actually paid by an employer, at his option, on the income in the nature of a perquisite, (not provided for by way of monetary payment) on behalf of an employee, from being included in perquisites. 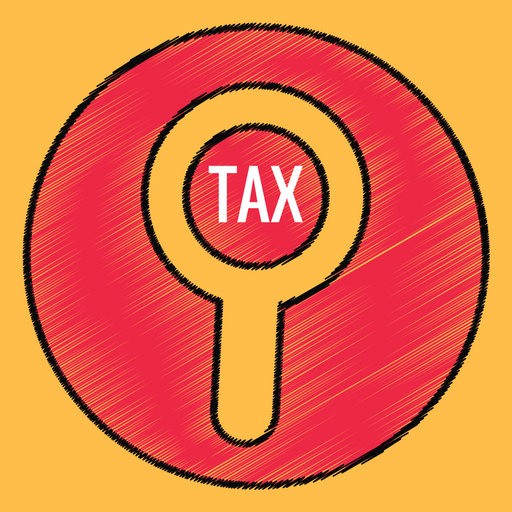 64.4 Such tax paid by the employer shall not be treated as an allowable expenditure in the hands of the employer under Section 40 of the Income-tax Act, 1961. 64.5 The amendments will take effect from Ist April, 2003 and will, accordingly, apply in relation to the assessment year 2003-04 and subsequent years. 64.6 Necessary changes in various provisions of Chapter-XVII relating to collection and recovery of taxes have been made to give effect to the new scheme. Amendment in Section 192 has also been made, so as to provide that an employer shall have an option to pay tax on behalf of an employee, without making any deduction from his income, on the income in the nature of perquisites, (not provided for by way of monetary payment). The employer shall, also continue to have the option to deduct the tax on whole or part of such income. 12. Learned Senior counsel for the assessee, Shri S. Ganesh, and other counsel, i.e Shri Rakesh Gupta, and Shri Salil Kapoor emphasized the phraseology of Section 10(10CC) and argued that the expressions calling for interpretation are “a perquisite, not provided for by way of monetary payment”. Likewise, what are “provided for by way of” has to be construed by the Court. Payment of tax by employer -on behalf of the employee is a perquisite. However, the precise controversy is whether it is in the shape of monetary payment to the employee. Counsel submit that the term “provided for” means to keep something ready, in order to perform or do it. Under Section 10(10CC) the monetary payment should be provided for the employee. It should be employee who is provided for by way of monetary payment within the meaning of Clause (2) of Section 17. In other words, payment of actual money to the employee (and not the equivalent of that, or the money’s worth) is what the legislature contemplated by provision of by way of monetary payment. If some benefit is directly or indirectly received by the assessee which has money’s worth, it is not a “monetary payment”. 13. It was further submitted that the distinction between a provision by way of monetary payment on the one hand, and provision not by way of monetary payment, on the other cannot be overlooked. The provision under consideration only excludes from exemption “perquisites” involving payment of money directly to the employees for a specific amenity or benefit. The Legislature wanted to exempt non-monetary perquisites allowed to the employee by the employer under the provision. 14. Assessee’s Counsel further submit that Section 10(10CC) when read other provisions to which simultaneous amendments were made by the Legislature, i.e Section 40 (1) (c) (v) clarify that the revenue’s position is incorrect. It was argued that the value of perquisites, otherwise deductible in the hands of the employer (subject to conditions) has been restricted, to the extent of payment of tax. 15. It was highlighted by counsel that the interpretation pressed upon by the revenue cannot be accepted, as it would amount to rendering Section 10 (10CC) meaningless. It was argued that each perquisite, paid for by the employer (even if not paid by the employee) would become a monetary perquisite. Thus, residential house belonging to the employer and provided to the employee -for his residence, – would be treated as a monetary perquisite. This would render Section 10 (10CC) a surplus age. That consequence cannot be adopted by the Court which should strive to give meaning to each provision. 16. It was submitted that the legislative history of Section 17 (2) (iv) read with Section 40A (5) and Section 40 (1) (a) (v) has to be taken into consideration in totality. Counsel submitted that what were excluded from deduction were payments made by the employer, but not the cash actually paid to the employee, which fell within the definition of “perquisite” and was therefore taxed in his hands, subjects to specified limits. However, such payments did not suffer taxation and were deductible as business expenditure. On the other hand if payments were made directly by the employer-assessee, those were non-deductible and were subject to taxation. This pattern was taken into consideration, by the corresponding change to Section 40 (a) (v) which rendered amounts paid by the employer towards income tax obligation (and covered under Section 10 (10CC)) non-deductible in the hands of the employer. Counsel relied on the decision reported as CIT v Mafatlal Gangabai  219 ITR 644/85 Taxman 381 (SC). This provision applied to all assessees. By virtue of the first proviso, the clause did not apply where the income chargeable under the head ‘salaries’ of the employee concerned was Rs 7500 or less. Explanation (II) imported the same meaning to ‘salary’ as was assigned to it in Rule 2(h) of Part A of the IVth Schedule to the Act. The sub-section was amended later in certain respects and was omitted altogether by Direct Tax Laws (Amendment) Act, 1987 with effect from 1-4- 1989. (e) Notwithstanding anything contained in Section 200 of the Companies Act, 1956 (1 of 1956). A plain reading of the above provision would reveal that if the perquisite that is “not provided for by way of monetary payment” – under Section 17 (2), the tax paid on such income would be excluded from the calculation of income altogether; it would not be deemed a perquisite. (iv) The tax on his salary income should have been paid by the employer. Section 10(5B) had been inserted by the Finance Act, 1993, with effect from April 1, 1994. Yet, this category of exemption had been in the tax statutes all along. In the Indian Income-tax Act, 1922, the exemption was provided by Section 4(3)(xiva) inserted with effect from April 1, 1955, and it was continued in the 1961 Act in Sections 10(6)(vi), (vii), (viia)(I) and (viia)(II). Though the provision underwent several modifications as to the definition of “technician” as well as the quantum and period for which the exemption was available, the basic requirement that the technician must have been employed in a business carried on in India existed right from the beginning. Therefore, the contention of the revenue about the inherent implausibility of excluding amounts paid towards tax liability -which are personal to the employee-assessee, stands negated. There is nothing abhorrent in excluding such amounts paid – on behalf of the employee assessee, from the definition of tax. (2) Value of any benefit/amenity granted free or at concessional rate to specified employees, etc. Specified employees are company directors, employees with substantial interest in the company and any other employee whose salary income exclusive of non-monetary benefits and amenities exceeds Rs. 50,000/-. (4) Any sum payable by the employer, directly or through a fund for assurance on life of the employee or to effect contract for an annuity. However, sums payable to recognised provident funds or approved superannuation funds, and certain other specified funds are exempt. (5) Value of any other fringe benefit as prescribed (excluding fringe benefits subjected to the Fringe Benefit Tax). Besides rent-free or concessional rent accommodation, other perquisites taxable in the hands of the employee include provision of services of domestic employees, supply of amenities, for household consumption, free or concessional educational facilities for any member of the employee’s household, interest free or concessional loan, and benefits resulting from the use of any movable asset. ‘6. On a consideration of both the points of view, we are inclined to agree with the submission of the learned Counsel for the assessees. The language employed in the sub-clause is not capable of taking within its ambit cash payments made to the employees by the assessee. These cash payments will, of course, be treated as salary paid to the employees and will be subject to the limits/ceiling, if any, in that behalf. But they cannot be brought within the purview of the words “any expenditure which results directly or indirectly in the provision of any benefit or amenity or perquisite” — more so because of the following words “whether convertible into money or not. 7. Now, coming to Section 40A(5), the position is no different. It would, however, be appropriate to point out the distinction between Section 40(a)(v) and Section 40A(5). We shall refer to the former provision as “sub-clause ” and the latter provision as “sub-section “. The sub-section is wider in its scope and application than the sub-clause. Sub-clause (i) of Clause (a) of Sub-section (5) deals with “any expenditure which results directly or indirectly in the payment of any salary to an employee or a former employee”. Sub-clause. (i) of Clause (c) of Sub-section (5) deals with “any expenditure which results directly or indirectly in the payment of any salary to an employee or a former employee”. Sub-clause (i) of clause (c) of Sub-section (5) sets out the limits/ceilings on such expenditure while Clause (a) of Expln. 2 appended to the sub-section defines the expression “salary ” for the purposes of this sub-section. These features were absent in Sub-clause (v) of Section 40(a). Now, coming to Sub-clause (ii) of Clause (a) of Sub-section (5) which corresponds to Section 40(a)(v) it uses only one expression “perquisite ” as against Section 40(a) (v) which spoke of “benefit of amenity or perquisite, but this is no real distinction because the definition of “perquisite: in Clause (b) of Expln. (2) to the sub-section takes in both benefits and amenities. The said definition also includes, inter alia, “payment by the assessee of any sum in respect of any obligation which but for such payment, would have been payable by the employee”-words which are found in the main limb of Section 40(a) (v) but which are missing in the main limb of Sub-clause (ii) of Clause (a) of Sub-section (5). Thus, except for certain structural changes, Section 40A(5)(a)(ii) and Section 40(a)(v) are similar in all material aspects. It, therefore, follows that what we have said with respect to Section 40(a)(v) applies equally to Section 40A(5)(a)(ii). 8. There still remain the words “including any sum paid by the assessee in respect of any obligation which but for such payment would have been payable by such employee” in Section 40(a)(v) and similar words found in Section 40A(5)(a) (ii) as well, i.e., in Sub-clause (iv) of the definition of “perquisite ” in Clause (b) of Expln. 2 to Sub-section (5). What do they mean? The said words contemplate a situation where the assessee makes a payment (in cash) in respect of an obligation -obligation of the employee – which would have been payable by the employee if it is not paid by the assessee. The payment by the assessee contemplated by these words is not evidently a payment to the employee but to a third party, no doubt, on account of the employee. Sub-clause (v) of the definition of “perquisite” in Clause (b) of Expln. 2 to Sub-section (5) also refers to cash payment but that too is not to the employee, though undoubtedly for his benefit. 24. Parliament was aware of the pre-existing law, and therefore, stepped in to clarify that only a monetary benefit directly in the hands of the employee as a payment by the employer would be excluded from Section 10 (10CC). This may be in the form of any benefit to pay rent, or discharge any manner of obligation, tax not excluded. This intention is manifest from the expression “tax” on such income actually paid. To construe this newly introduced provision in any other manner would be to defeat Parliamentary intent. Section 40(a)(v) fortifies the interpretation of this court in providing that while calculating income of the employer, the tax paid by the employer on non-monetary perquisites is not deductible. This provision too was introduced in 2002. The logic of excluding – as a non monetary perquisite – amounts paid to discharge obligations of the employee, from the meaning of income, by virtue of Section 10 (10CC) is that now, with the introduction of Section 40 (c) (v), such amounts are not deductible in the employer’s hands – a situation which did not exist when the above judgments were rendered. 25. In the light of the above discussion, it is held that amounts paid directly by the employer to discharge its employees’ income tax liability do not fall within the excluded category of monetary benefits “payable” to the employee; they fall within the included category, under Section 10 (10CC) as amounts paid directly as taxes. Correspondingly, they cannot now be claimed as deductions by virtue of Section 40 (c) (v). The revenue’s appeals on this aspect have to fail. 26. This issue arises for consideration in ITA Nos. 441/2003; 761/2005; 798/2005; 800/2005; 379/2007; 1215/2008; 450/2010; 680/2007; 681/2007; 577/2010; 528/2011 and 370/2011 . 27. The revenue is in appeal on this score. In all the cases, the foreign employer had made contributions in compliance with legal requirements in the country of its incorporation, towards social security benefits of the employee. These employees were seconded to India to serve in the Indian subsidiary, or assist in the Indian operations of the foreign company. The revenue sought to bring to tax such social security contributions, contending that they were for the benefit of the employee, and vested in the latter. In all the cases before the Court, the revenue had unsuccessfully contended that the amounts paid by the employer to the social security funds- admittedly in accordance with the laws and regulations governing the country of its incorporation fell within the description of “sum payable by the employer, whether directly or through a fund, ….to effect, an assurance on the life of the assessee or to effect a contract for an annuity.” It was also argued that to fall outside the mischief of the provision, the contribution had to be to a “recognized provident fund or an approved superannuation fund or a Deposit-linked Insurance Fund established under section 3G of the Coal Mines Provident Fund and Miscellaneous Provisions Act, 1948 (46 of 1948), or, as the case may be, section 6C of the Employees Provident Funds and Miscellaneous Provisions Act, 1952 (19 of 1952)… ” The revenue further argues that since the contributions did not match the description of the excluded category, they were covered by the main provision of Section 17 (2) (v) and taxable as part of the salary. 28. It is argued by Mr. Deepak Chopra for the revenue that there is a significant difference between the language of the old Income Tax Act (of 1922) and the present one. Highlighting that the old Act made no distinction between approved and unapproved funds, it was argued that such a differentiation has been made under the 1961 Act. Therefore, all that the Court should satisfy itself is whether the employer contributes to a superannuation or annuity fund; if it is approved, it is not deemed a perquisite. Otherwise, it is part of taxable salary. “A gain or profit incidentally made from employment in addition to regular salary or wages especially one of a kind expected or promised”. “An incidental emolument fee or profit over and above fixed income, salary or wages. Also called perk, [perq]”. Central to the theme of a perquisite is the idea that the employer pays to, or for the benefit of the employee amount(s) which would inure to the latter’s exclusive benefit or advantage. Such being the case, the amounts are said to have vested in the employee, irrespective of when they have to be paid. In this context, counsel relied on the meaning of “Annuity” in the Shorter Oxford Dictionary i.e., “an investment of money, entitling the investor to receive a series of equal annual payments, made up of both principal and interest”. He contended that the Supreme Court referred to and relied upon the above definition of “annuity” given in the Oxford Dictionary. According to the Supreme Court, “an annuity is a certain sum of money payable yearly either as a personal obligation of the grantor or out of property”. The hallmark of an annuity, is (1) it is money; (2) paid annually; and (3) in fixed sum. Counsel referred to a decision of the Supreme Court in CWT v. P.K. Banerjee  125 ITR 641/4 Taxman 35. It is therefore argued that since there is no uncertainty of the right to enjoyment of the ultimate benefits which accrue to the employee-assessee, the contributions by their employers to Social Security and medical insurance benefits in fact inured or vested in them immediately even though the occasion or event for their enjoyment was postponed. 32. Counsel for the assessees on the other hand, argued that the revenue’s submissions are without merit. It is contended that the nature of payment in question in each of the cases, whether it is for coverage of social security benefits, in compliance with the foreign holding company’s laws for such social security, or medical benefits, did not make any difference. It was submitted that these were involuntary payments (in the case of social security) and could not confer benefit in praesenti to the employee, but did so in the event of loss of employment due to invalidity on account of ill health, before the attainment of 65 years, or death, and in the case of medical benefit, on the happening of an event, i.e. illness or any other incident which entitles the flow of benefits. 33. Counsel emphasized that even after the new Act, of 1961, courts in India have been following L.W. Russel; the decisions reported as CIT v J. N. Vas  240 ITR 101/106 Taxman 658 (Bom), J.H. Doshi v CIT  212 ITR 211/79 Taxman 392 (Bom.) and CIT v Nandkishore Sakarlal  208 ITR 14/72 Taxman 386 (Guj.) were relied on. 34. It was argued by the assesses that the revenue did not establish from the record, through any supporting material, that any benefit or advantage either pecuniary, or capable of expression in monetary terms accrued during the year in question, to say that the contribution to the social security or medical benefits fund, was not contingent, or that it “vested” in law. “Section 7(1)-The tax shall be payable by an assessee under the head “salaries” in respect of any salary or wages, any annuity, pension or gratuity, and any fees, commissions, perquisites or profits in lieu of, ‘or in addition to, any salary or wages, which are allowed to him by or are due to him, whether paid or not, from, or are paid by or on behalf of……………a company …………..
“Section 7(1)-The tax shall be payable by an assessee under the head “salaries” in respect of any salary or wages, any annuity, pension or gratuity, and any fees, commissions, perquisites or profits in lieu of, ‘or in addition to, any salary or wages, which are allowed to him by or are due to him, whether paid or not, from, or are paid by or on behalf of……………. a company……………. (e) The contribution of the employer was not refundable. 36. The Tribunal held, after noticing the nature of the scheme that before attaining the age of 65 or before death, neither the assessee nor his survivors were entitled to get any benefit from the scheme and at the most the employee only had a contingent right which cannot attract Section 17(2)(v) of the Act. The Tribunal also noticed the salient features of the welfare insurance scheme and held that any benefit actually obtained or received by the assessee under the scheme during the relevant previous year will have to be assessed as per provisions of Section 17(2)(v) of the Act. In all other respects, the decision otherwise was that the assessee did not get any vested right in such contributions when they were actually made. This reasoning was adopted by the Tribunal in several other cases, some of which are before this court in the present batch of appeals. 37. In CIT v. Lala Shri Dhar  84 NR 192 (Del)) this Court was concerned with contributions made by the employers under policies of personal accident taken out by them for protecting themselves against the liability for payment of compensation to their employees. It was held by the Court that the decision to take the policy was of the company, which paid the premium, that the assessee himself did not want to take out the insurance. If the company had stopped paying the premium, the assessee would not have continued the same from year-to-year and, therefore, the contribution paid by the company to keep the policy alive could not be considered as a perquisite in the hands of the employee. 38. In the present case, the assessee does not acquire any vested right over the payment at the time of contribution. With regard to the insurance plans, the CIT(A) had held that the contributions are made to benefit the employer and to protect him from loss of employment, sickness, death, accident, etc. of the employee and that the policies themselves are contingent in nature, the benefit under’ which would depend on whether the contingency takes place or not. 39. This court is of the opinion that the revenue’s contentions are insubstantial and meritless. The assessee does not- in any appeal, get a vested right at the time of contribution to the fund by the employer. The amount standing to the credit of the pension fund account, social security or medical or health insurance would continue to remain invested till the assessee becomes entitled to receive it. In the case of medical benefit, the revenue could not support its contentions by citing any provision in any policy or scheme which is the subject matter of these appeals, which entitle The vesting right to receive the amount under the scheme or plan did not occur. This court is also of the opinion that the judgment of the Supreme Court in L.W. Russel applies. There, it was held that one cannot be said to allow a perquisite to an employee if the employee has no right to the same. It cannot apply to contingent payments to which the employee has no right till the contingency occurs. The employee must have a vested right in the amount. In this context, it would be useful to recollect the decision of this court in CIT v. Mehar Singh Sampuran Singh Chawla  90 ITR 219 (Delhi) where it was held that the contribution made by the employee towards a fund established for the welfare of the employees would not be deemed to be a perquisite in the hands of the employees concerned as they do not acquire a vested right in the sum contributed by the employer. 40. The reliance placed by the revenue on the judgment of the Patna High Court case of J.G. Keshwani (supra) is misplaced as the facts of that case were entirely different. There, the assessee held employment as director of the company and in terms of the compensation package, he was entitled to receive commission as a percentage of the net profits in terms prescribed under the Companies Act subject to a maximum ceiling. Subsequently, the terms of the appointment of the assessee were varied and the company instead of paying commission decided to purchase deferred policies from the Life Insurance Corporation on the life of assessee. An terms of the annuity plan, the annuity payment would commence from the date of retirement. The assessing officer had held that the arrangement was merely a change in the mode of payment of the commission to the assessee. The High Court observed that the amount contributed towards annuity plan had already accrued to the assessee in the year under consideration. It was merely that instead of paying the amount as commission, the same was contributed by the company for acquiring the annuity plan for the employee. The High Court, apparently was influenced by the fact that the sum contributed by the company towards annuity plan was due to the employee concerned and merely, a changed method of payment was being introduced through the annuity. It was a colourable device adopted at the instance of the assessee, who is deemed to have derived a vested interest in the amount so contributed by the company. 41. As far as the submission with regard to change in the phraseology of the provision is concerned, the argument seems facially persuasive. However, like in the case of the present provision, which removes from the inclusive sweep of the term “perquisite” certain kinds of payments – into approved annuity funds, or schemes under the Employees Provident Fund Act, the previous provision (Section 7 (1) (v)) too excluded from the sweep of the definition of perquisite, amounts paid into schemes described under Schedules IXA and IXB. Contextually, the setting for the decision in L.W. Russel case (supra) was no different from the provision in the present Act. The Supreme Court spelt out a wider and fundamental principle, i.e. when the amount does not result in a direct present benefit to the employee, who does not enjoy it, but assures him a future benefit, in the event of contingency, the payment made by the employer, does not vest in the employee. This Court is of the opinion that the new Act does not make any significant departure from this aspect. 42. In view of the above discussion, it is held that the revenue’s appeals have to fail; amounts paid by employers to pension, or social security funds, or for medical benefits, are not perquisites within the meaning of the expression, under Section 17 (1) (v) and therefore, the amounts paid by the employer in that regard are not taxable in the hands of the employee-assessee. ‘2. The question/issue raised in the present appeal is whether the tax paid by the employer (Japan Airlines International Company Limited) is a “perquisite” within the meaning of Section 17(2) and, therefore, in terms of Rule 3 of the Income Tax Rules, 1962 (for short, Rules) cannot be taken into consideration for computing value of the perquisite “rent free accommodation”. 44. This question arises in ITA Nos. 387/2008, 15/2010, 699/2010 and 1912/2010. In these cases the total salary received by the assessee in India included tax payable at the applicable rates. In terms of the employer’s equalization policy the assessees were entitled to reimbursement of the tax payable. Consequently, the assessees computed the salary income at the total amount, i.e the salary payable, as well as the tax component included in the salary which coincided with the income declared. The assessees had paid tax on the total amount (i.e the salary admissible and the tax component received), and entitled to reimbursement of tax of a portion of the excess amount; the balance was borne out of the salary income received by the assessees in India. The findings of the authorities below is that the assessee, in the computation had added a larger amount as income and deducted a portion of it from the income, when in fact the said smaller amount was not received from the employer but paid out of the salary amount received in India. Though the assessee had paid larger amount, as tax, yet they were entitled to reimbursement from the assesses, as the salary income had to be enhanced by a part of the amount (not the whole) paid as tax. 45. This court notices that the issue stands covered by a decision of the Bombay High Court CIT v Jaydev H. Raja  211 Taxman 188/26 taxmann.com 357 (Bom). In CIT v Dr. Percy Batlivala (ITA 1308/2008, decided on 16th December, 2009) a Division Bench of the Court noted the concept of hypothetical tax as one where the employee of a multinational company, seconded to serve in India, is assured a net salary amount equivalent to what is earned by him abroad. The assessee paid a certain amount of tax in US dollars upon the salary earned in the United states. The employer after deducting tax, calculated the net amount receivable by the assessee; it then considered how much tax would be payable by the assessee on the income earned in India. As the amount payable as tax in India was lower, it (also called hypothetical tax) was not given to the assessee, thus assuring that the net amount received by him was in accordance with the prior agreement. In other words, hypothetical tax denotes the sum of money withheld by the employer to fulfill a commitment of paying a particular net salary. The Court, after considering the materials, concluded that so long as the assessee paid tax on actual salary received, could not be saddled with the hypothetical tax amount. 46. In the present cases too, the employers had assured a certain net salary; the assessees were paid that; they suffered tax on that salary. The question of their paying more, therefore, would not arise. The ratio in Dr. Percy Batlivala case (supra)applies to the fact situation in these cases. The Court, while following the decision, holds this question of law, in favour of the assessee. 47. The Finance Act 2002 sought to simplify the scheme for taxation of perquisites and gave the employer the option to pay taxes on the whole or part value of perquisites (excluding those provided for by way of monetary payment) without any deduction from the income of the employee. Simultaneously, the tax paid on such non-monetary perquisites was exempted in the hands of the employee by virtue of the newly introduced Section 10 (10CC). The question is whether such tax is to be subject to multiple stage grossing-up process under Section 195A of the Act, which provides that in case under an agreement or arrangement the tax on income is to be borne by the person by whom income is payable, the income would need to be increased to such amount as would after deduction of tax be equal to the net amount payable. 48. The controversy which the court has to resolve (in ITA Nos. 1556/2010, 1557/2010; 494/2010; 508/2010; 631/2010; 699/2010; 351/2010; 1354/2010 & 1912/2010) is whether the tax liability on salary borne by the employer is a monetary perquisite or a non- monetary perquisite. Whether it needs to go through the multiple stage grossing up process under Section 195A or is it eligible for exemption under Section 10 (10CC) of the Act applicable to non-monetary perquisites. The tax authorities were of the opinion that tax borne by the employer is a monetary perquisite and therefore further tax thereon should be added to the salary by a multiple stage grossing up process. Additionally, the tax on other perquisites are also sought to be grossed up. The relevant provisions are extracted below. 49. This court has discussed and concluded, in its answer to Point No. 1 that what is not exempt under Section 10 (10CC) is perquisite in the shape of monetary payment to the employee. If it is a payment to a third party like payment of taxes to the government, it would be exempt under Section 10 (10CC). Likewise, the phraseology of that provision, to the extent it alludes to Section 17 (2) is wide. If any perquisite other than a monetary benefit is granted, that provision (Section 10 (10CC) operates. If this scheme is understood in its proper perspective, it is evident, from Section 192 (1A) that a person (employer) responsible for making payment of a non-monetary perquisite, “may pay, at his option, tax on the whole or part of such income without making any deduction therefrom at the time when such tax was otherwise deductible under the provisions of sub-section (1).” This, like Section 10 (10CC) was inserted in 2002; so also was Section 195A. 50. The Tribunal has in the present cases, held that tax paid by the employer on behalf of the employee is a non-monetary perquisite. In other words, taxes paid by the employer can be added only once in the salary of the employee. Thereafter, tax on such perquisites is not to be added again. The problem can be explained illustratively. If the salary of an employee is Rs 100 and the tax liability thereon at the rate of 30% is Rs. 30, in case the employer agrees to bear the tax liability, the total tax to be paid by the employer would be Rs 39 (30% of Rs 130). This Court is of the opinion that whenever tax is deposited in respect of a non-monetary perquisite, the provision of Section 10 (10CC) applies, thus excluding multiple stage grossing up. The purpose and intent of introducing the amendment to Section 10 (10CC) was to exclude the element of income – which would have arisen otherwise, as a perquisite, and as part of salary. Once that stood excluded, and option was given to the employer under Section 192 (1A) to honour the agreement with the employee, Parliament could not have intended its inclusion in any other form, even for the purpose of deduction at source. Doing so would defeat the intent behind Section 10 (10CC). This court, therefore, answers the question in favour of the assessee and against the revenue. 51. This question arises in the revenue’s appeals, ITA 1912/2010 and ITA 731/2010. The assesses, non-residents, were, during the relevant period employed by foreign Companies and paid salary in foreign currency. They were also deputed to work in India for some time, during which they received various perquisites, including rent, household utilities, payment of domestic staff, driver etc. The assesses received salary in foreign exchange. They claimed that tax paid on his salary were non-monetary perquisites which could not be brought to tax, under Section 10 (10CC) of the Act. Certain refunds were payable in respect of the TDS amounts deposited with the income tax authorities, by the assessee’s employers. These excess amount, according to the Assessing Officer, were not exempt under Section 10(5B) but were taxable income of the assessee, as “disguised perquisites”. The assessees contended that refund issued in their name could not be treated as a perquisite, as neither any benefit accrued to him nor was any amenity was provided to him. The amount of tax was deposited by the employer and, therefore, refund issued in this case belonged to the employer. It was urged that the assessee had written to the Income tax department to issue the refund directly to the employer. However, refund was issued in the name of the employees. The AO’s rejected this and added back the said refund amounts; the appeal against this order succeeded. The matter was ultimately decided in favour of the assessee by the Tribunal. 52. The revenue urges that that the exemption under Section 10(5B) could be availed by the assessee only to the extent of amount actually chargeable on the income. Thus, amounts which was paid over and above the amount due were not exempt under Section 10(5B) and were taxable under Section 17(2)(iv) of the Income-tax Act as a perquisite. Therefore, refund granted to the assessee was taxable income of the assessee. Once amount had gone to the coffers of the assessee and thereafter what the assessee did with the amount, was irrelevant for taxation purposes. That was only application of income and could not be the character of the receipt. The refund allowed was accordingly charged to tax in the re-assessments. The assessee, on the other hand, argues that the benefit of the amounts paid cannot be availed of by the assessee, whose terms of contract do not envision such payments. The amounts are the property of the employer, who can claim and recover them, by way of adjustment or any other method, during the subsistence, or even after the employer employee relationship. 53. This court is of opinion that the assessee’s arguments have force. The employer, in terms of its arrangement with the employee, had to pay the income-tax due on the latter’s income for services rendered. The employer could not have paid to the State any amount in excess of what was due as tax on salary. But, the employer, mistakenly paid to the State, excess amounts which were refunded, but instead, to the assessee. 54. In this case, it is clear that the amount was not paid to the employee or due to him, from the employer, according to the terms of the contract governing the relationship. It was paid to the Government, over and above the tax due on the salary. It was not for benefit of the assessee. It never, therefore, bore the characteristic of salary or perquisite. Till assessment was made, the amount could not be refunded to the assessee. The revenue’s position overlooks that all receipts are not taxable receipts. Before a receipt is brought to tax, the nature and character of the receipt in the hands of the recipient has to be considered. Every receipt or monetary advantage or benefit in the hands of its recipient is not taxable unless it is established to be due to him. If the amount is not due, the recipient- in this case, the employee is obliged to pay back the sum to the person, to whom it belongs. A perquisite or such amount, to be taxed, should be received under a legal or equitable claim, even contingent. The receipt of money or property which one is obliged to return or repay to the rightful owner, as in the case of a loan or credit, cannot be taken as a benefit or a perquisite. The amounts paid in excess by the employer, and refunded to the employee never belonged to the latter; he cannot be therefore taxed. The question of law is therefore, answered against the revenue, and in favour of the assessees. 56. The surviving question relates to the liability of the assesse in respect of the sum of Rs. 2,21,000/-. This sum was paid by M/s Sony India, the assessee’s employer to Price Water House towards consultancy fees in respect of tax related matters. The AO asked the assessee why the sum should not be treated as a perquisite; he resisted, saying that the amount was paid to the accountancy firm towards various services; Rs. 90,000/- was paid for preparation of return for three years and the balance was paid towards representation in appeals, rectification, and seeking interim orders, etc. The AO rejected the assessee’s claim reasoning that the assessee had the primary liability to pay tax. He could not get the benefit of tax consultancy fee as expenditure. The Appellate Commissioner and ITAT granted partial relief to the assessee. 57. The assessee’s counsel contends that he was not compelled to contract with the firm nor get any benefit from it. It was the obligation of the employer to secure the tax benefits, and ensure that proper returns were filed. It hired PWC and secured its services for its comfort. The revenue, on the other hand, contends that the employee was beneficiary of the services of the accountant firm; even though the employer hired its services, the party which derived advantage was the employee. Consequently, the amount paid as fee was to be brought to tax as a perquisite. 58. The primary liability to pay tax in this case was borne by the employer; it clearly fell within the definition of a non-monetary advantage. That the company, as part of its policy, sought advice from a consultancy firm which was paid for its services. That the benefit of these ultimately enured to the assessee, cannot mean that it formed part of his income as “perquisite”. Here what the revenue seeks to do is to dictate that though part of the payment to the consultant might be justified under the particular circumstances, yet, the expense claimed should be taxed partly as the assessee’s income. The revenue, it is often said, cannot place itself in the armchair of the assessee and determine what he should do to conduct his business. That the assessee was beneficiary to his employer’s policy of consulting tax experts for filing income tax returns as appears to have been the prevailing practice of his employer, in respect of other employees as well, would not transform the expense borne by the employer into income in the assessee’s hands. This question is accordingly answered in favour of the assessee and against the revenue. 59. In the light of the above findings, all references have to be and are answered against the revenue and in favour of the assessees. The appeals are disposed of accordingly. No costs. This entry was posted in Sec. 10(10C), Sec. 17(2) and tagged 357 ITR, Delhi High Court, In favour of Assessee, medical practitioner.